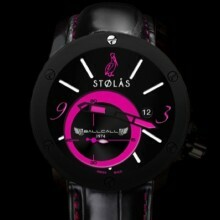 Naviator™ 1974 - STØLÅS Watch Co.
Click the button below to add the Naviator™ 1974 to your wish list. The 1974 is named after the year Women were first granted their wings in the US Navy. This looks so good I can taste it. Another killer design! Can I say any more? I went to tons of watches before finding this one. There isn't enough room here to write how much I love this design. Can't wait to get it in!